Public Houses, Public Transport and strolling between the two. I had a free morning today. I’d taken leave from work to finish an essay, but made much more progress over the weekend than I planned. 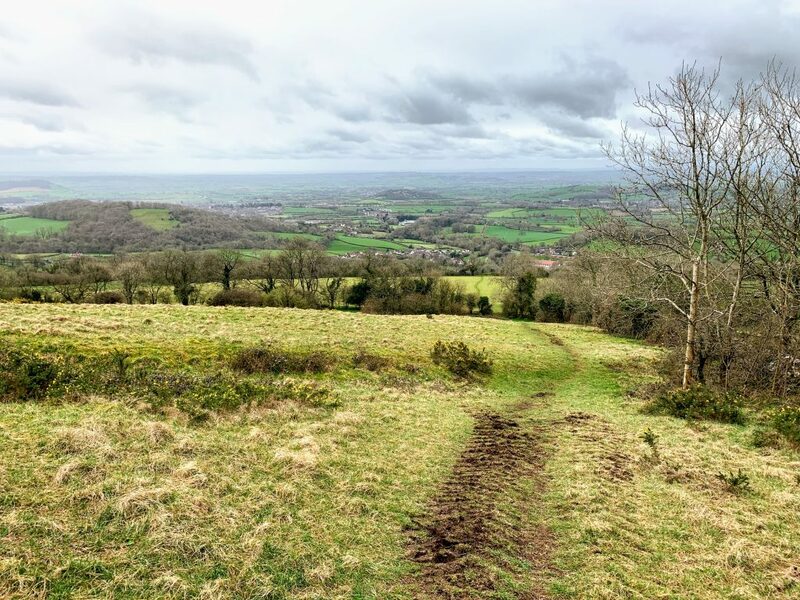 So what better reward than a stroll along The Mendip Way. I chose to walk from Priddy, since for some reason I’ve never been and it felt like time to put that right. The plan was to start by following the West Mendip Way down through Ebbor Gorge to Wookey Hole. Next was a steep climb back up the hill along the Monarch’s Way followed by a much gentler climb up North Hill to take in the Priddy Nine Barrows. The weather was not great, a chilly wind and rain, but bearable. I parked up outside the Old New Inn (re-opening this year) and picked up the Mendip Way as it passed through Priddy. The start of this walk is well way marked, and is an easy stroll through the fields. The views across Somerset towards Glastonbury Tor are amazing and I really must come back in better conditions. 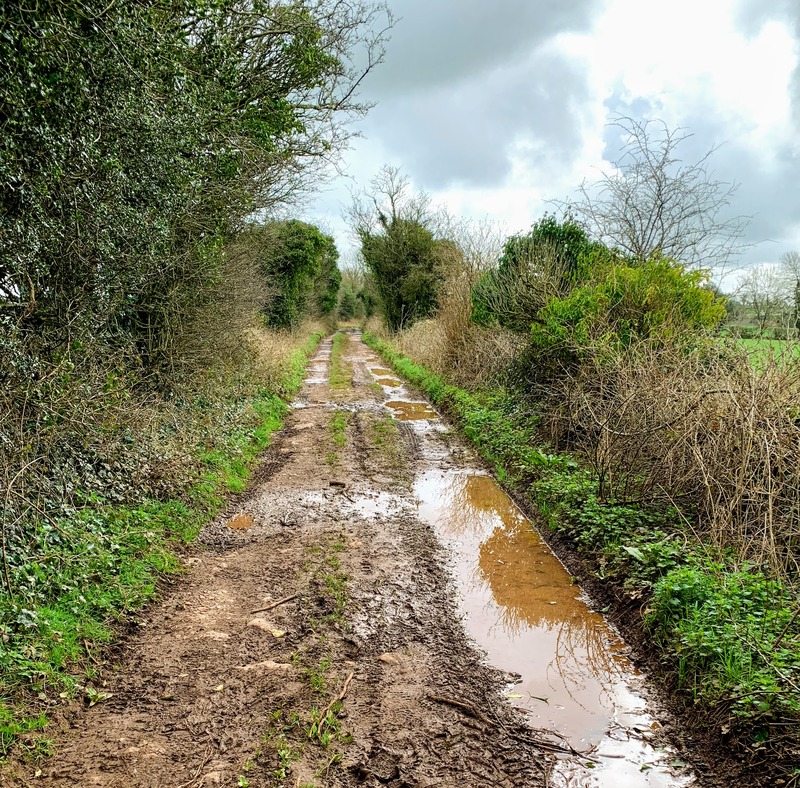 The Mendip Way runs for a short period along Dursdon Drove. 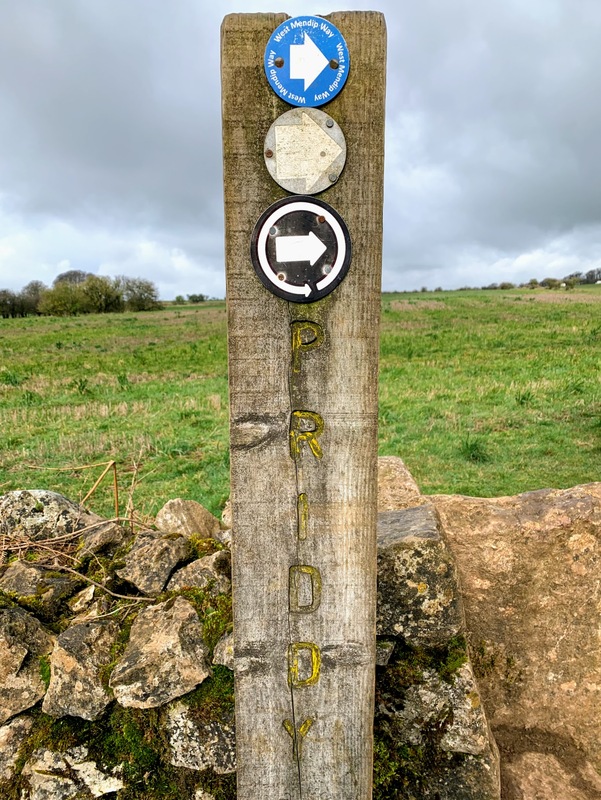 It seems to be pretty well used by both walkers and vehicles, presumably because it provides access to Higher Pitts Farm. 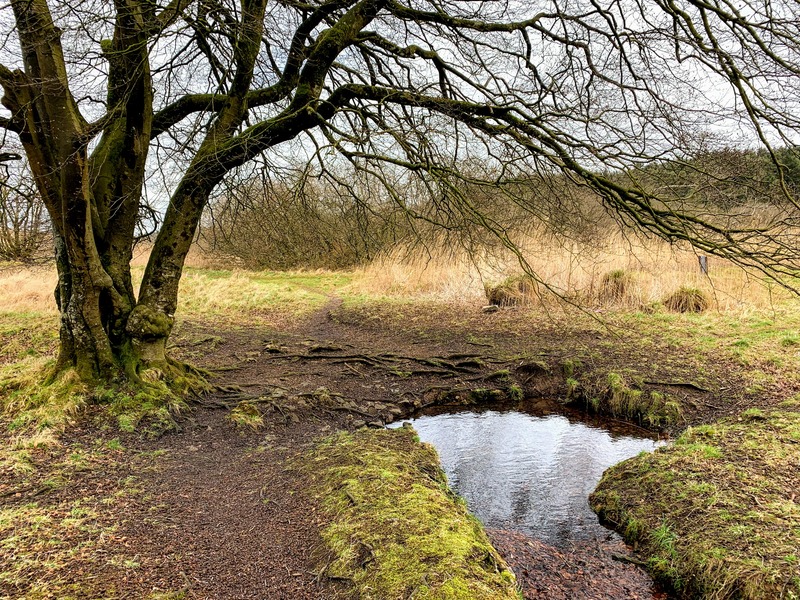 It is a pleasant walk inbetween the verdant green moss covered dry stone walls. Everything gets a touch more dramatic as the path descends into Ebbor Woods. The rain and wind picked up at this point too. A helpful sign warned off a “Cliff ahead”. A warning we should all take seriously. And sure enough, there really was a big cliff. Stood near the edge in the wind and rain, the stone slightly slippery underfoot, I felt both awed and slightly quesy! It is a stunning place. 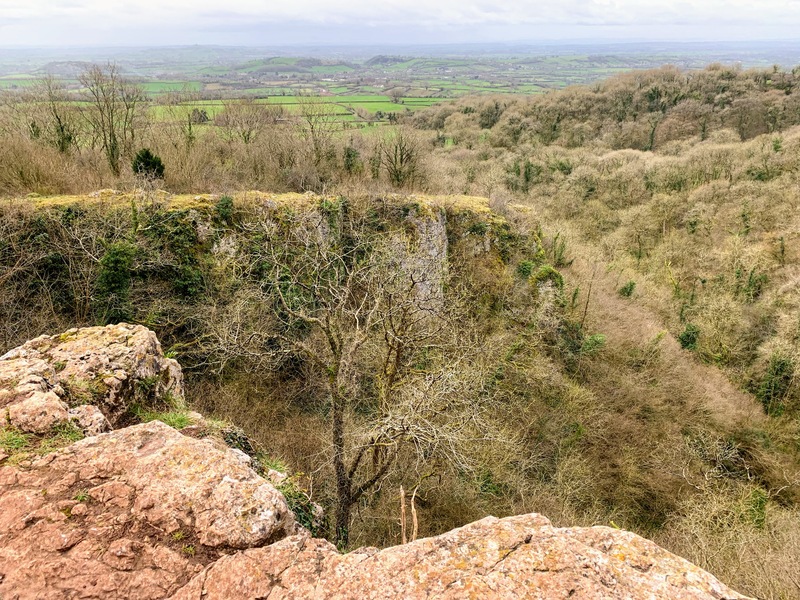 I guess it is not Mendip’s most dramatic gorge (Cheddar), but the surrounding woods make it a very different place. I realise I keep saying this in these blogs, but I will be back. It would be interesting to wander through at ground level. There followed a very steep and muddy descent, and the mud got much worse at the bottom. I was coated almost up to my knees, which rather changed my view about whether I was going to visit the pub at Priddy at the end! There is not much to say about Wookey Hole. The Wookey Hole Caves attraction was very quiet, perhaps not open. I passed their resident Reindeer on the way up the hill, I guess they have a quiet life outside of Christmas. I used to regularly frequent the Wookey Hole Inn when I worked nearby (including an infamous afternoon session on a lethal beer called Fruit Bat – far too easy to drink for it’s strength!) but it was too early today and I was too muddy. There is something to say about the walk back up the hill, however. I was right to be worried on the way down – it was very steep and very long. Steep hills expose my underlying lack of fitness and i could feel my heart beating very strongly in my chest. I genuinely wasn’t sure I would make it to the top. I was passed by a man running – training for an ultramarathon he told me. Fourth time he’d done the hill today. In a way that made me feel better. This hill is the sort of thing ultramarathon runners do to test themselves. When I *did* reach the top, I was elated. Genuinely. I guess that was the dopamine hit people talk about. The view, as you would expect, was special too. Even though I was only about half way, I felt I was on the homeward stretch after that. The walking from then on was easy and flat. The countryside around the Priddy Mineries reminds me, a bit anyway, of Dartmoor. The colours and wetness have that feel to them, and the intrerruption of old mine workings is reminiscent too. I even had to jump between divets of grass on a boggy section. This feeling is further enhanced by the presence of Bronze Age monuments. Priddy Nine Barrows and the Ashton Hill Tumuli are a spectacular group of ancient burial mounds. I struggled to take a good picture. You really need to be there surrounded by them. 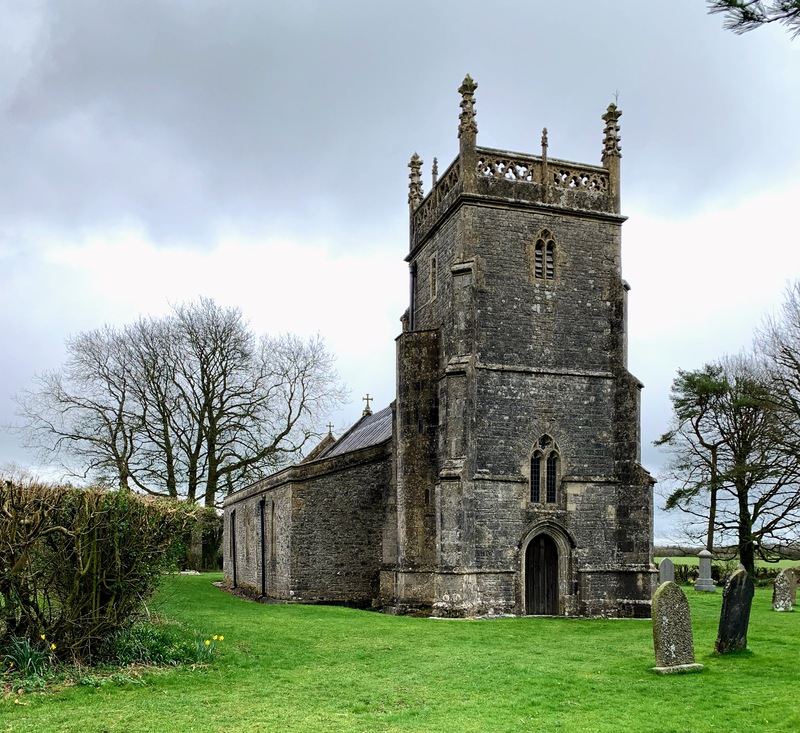 They are not dramatic like Stanton Drew circle, but they are a stark reminder of our history and how little we really understand of the past. Definitely worth a visit. Priddy Circles, however, have lost whatever glory they once had. It is almost impossible to make anything out on the ground now. Presumably this bleak, barren, windy spot was once a significant place. Folklore has it, by the way, that one of the barrows contains a gold coffin. 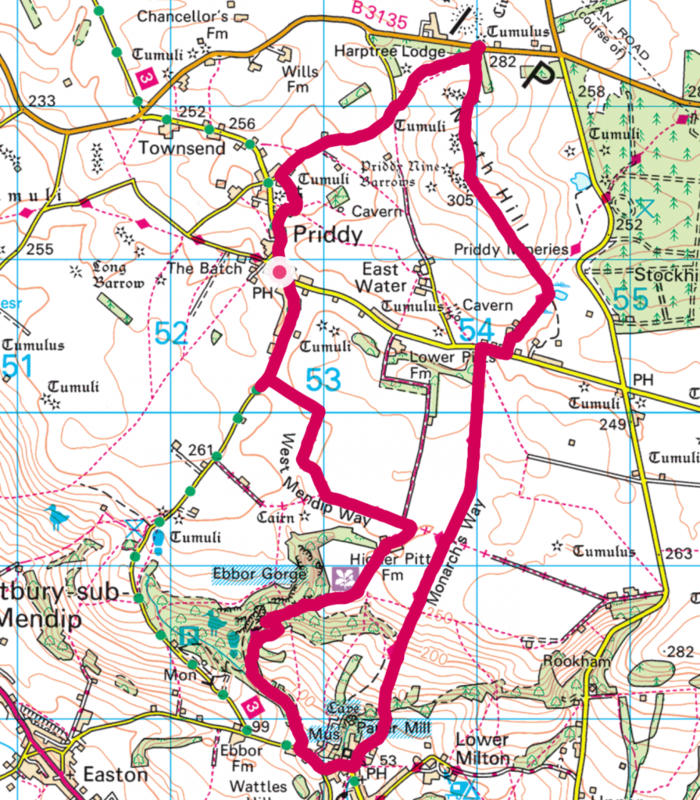 It was now just a short walk along Nine Barrows Lane back to Priddy. I took a brief detour to visit the church, but it didn’t seem to be open. As I mentioned, I felt too muddy to visit the pub on this occasion. So there is at least one reason to go back! But there are plenty more. A very beautiful part of the world. A peregrination is a journey on foot by a pilgrim to sites of religious significance. Stations, pubs and record shops in my case.